Trinity publications use the printed page to bring the school to life. Publications are an outlet for creativity, part of the ongoing history of the school and a connection between students past and present. 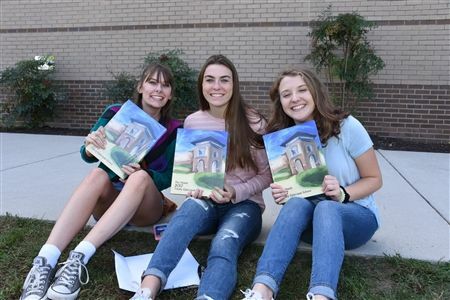 Trinity students and faculty create an outstanding yearbook full of memories each year. Changes in technology have greatly enhanced the processes used by the yearbook staff to develop and publish Trinity's yearbook, The Shield. The deadline for ordering a yearbook at the "early bird" price of $85 is March 1, 2018. After March 1, the price increases to $90. SENIORS: Specifications for senior portraits and sitting times are available here. For more information about packages for seniors from Candid Color, click here.